SEOUL, Korea (Sept. 29, 2017) – Under new medical procedures soon to be trialed by WT, taekwondo athletes will be unable to leave competition venues without having undertaken medical examinations and may get ultrasound scans on injured body parts as a part of injury surveillance improvement project in World Taekwondo – but these scans will grant athletes, coaches and team doctors valuable information about athletes’ injuries and about hidden, legacy injuries they did not know they had. 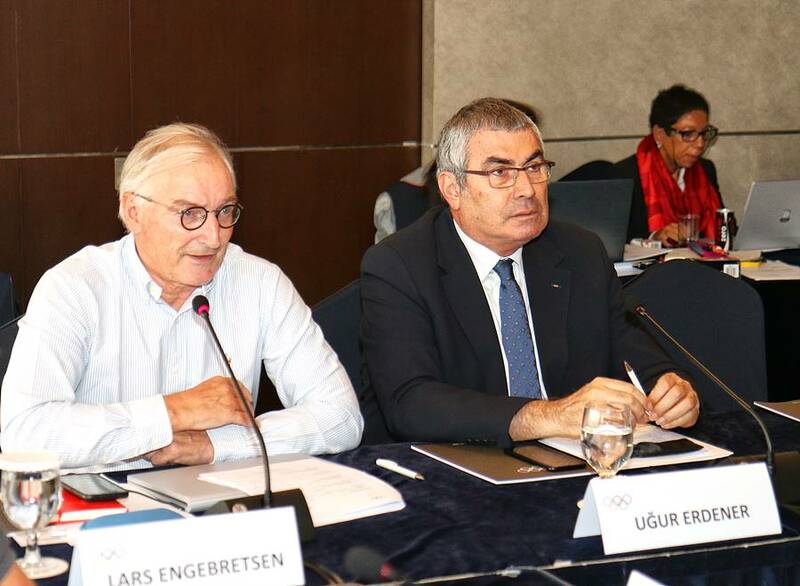 This plan was revealed when newly appointed WT Medical and Anti-doping Committee Chairman Dr. Dae-hyoun Jeong briefed the IOC’s Medical and Scientific Commission in Seoul. During his presentation, he made a strong case for the adoption of point-of-care ultrasound systems on the sidelines of sports. 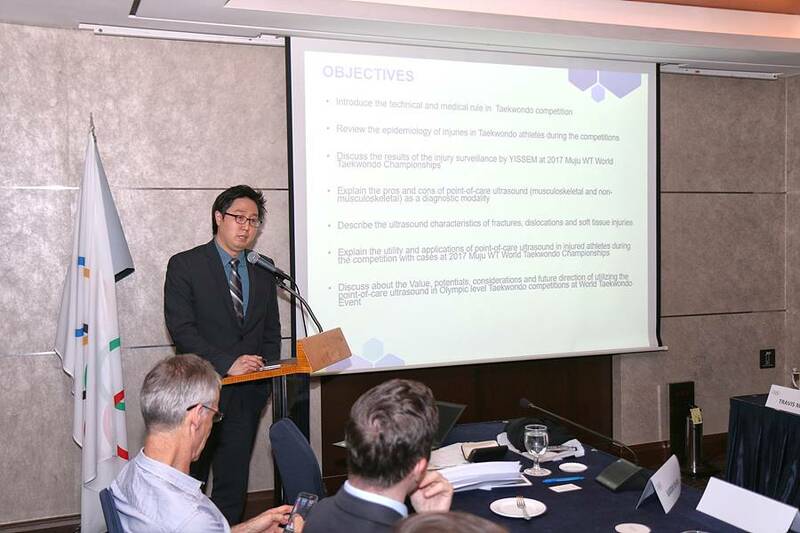 He also laid out the future systemization of taekwondo-specific injury prevention processes and medical protocols, and improvements to protective gear. Speaking at the commission’s annual “IOC Research Centre’s Meeting,” which was held this year in Seoul’s Lotte Hotel, Jeong – assuming that attendees would be tired by late afternoon – started his presentation in lively style with a video of taekwondo action, with an emphasis on knockouts. Moving on to the meat of his presentation, he briefed the commission on his experiences as a doctor on the sidelines of the 2017 Muju World Taekwondo Championships. 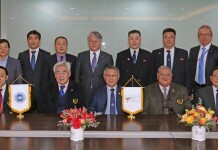 Prior to Muju, WT convened a medical conference – a first for a world taekwondo championships. “It was pretty successful, I guess,” he said. Every day of the seven-day championships, prior to action commencing, medical staff practiced emergency procedures on the field of play. 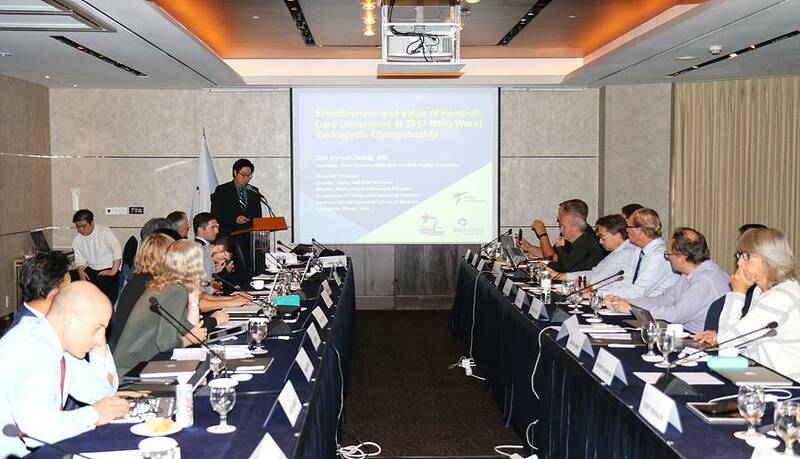 Regarding the use of point-of-care (POC) ultrasound, which had been employed for the first time at Muju 2017 World Taekwondo Championships by Jeong, he noted that it “…played a wonderful role as an injury surveillance and pre-diagnostic tool” at the championships. He then delighted his medical-centric audience with ultrasound scans taken during the competition. “Beautiful pictures!” murmured one participant as he examined the internal workings of an injured knee. Modern ultrasound systems are portable, time-efficient and low cost, Jeong said. They offer high sensitivity and high diagnostic value – similar to MRIs. They enable dynamic examinations and ultrasound guided procedures to be conveniently carried out in-venue. POC ultrasound scanning, Jeong said, can be used to effectively rule out certain injuries. This is important because it makes the transfers of injured athletes to hospital emergency rooms (ERs) for x-rays or MRI scans unnecessary. ER transfers are always problematic at global sports competitions, given the problems of transport, language barriers and medical insurance, Jeong explained; in Muju, he continued, the use of POC ultrasound slashed the number of ER visits by approximately one third. 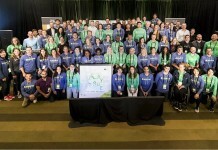 “With ultrasound, we were able to make pretty good diagnoses and reassure athletes and coaches so they did not end up going to the ER,” he said. As a result of POC ultrasound’s efficacy in Muju, WT plans to introduce a “gatekeeper” ultrasound surveillance system, to be trialed at the upcoming London Grand Prix in October, Jeong said. Under this system, no athlete will be allowed to leave the venue until he or she has undergone a full medical examination with ultrasound scan on injuried sites. This will ensure they have incurred no injuries during the competition, and will uncover hidden injuries. It will therefore be a highly useful system for athletes and coaches, as well for the WT Medical Committee, which can use the scans to collate injury data. However, the upgraded injury surveillance will eventually lead to the drop of the injury rates by recognizing many unrevealed but preventable injuries. Injury prevention is also in focus. “The team from YISSEM will work on an injury prevention protocols,” Jeong said. When completed, this information will be disseminated to all MNAs. 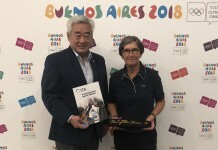 In another preventative step, the WT Medical and Anti-doping Committee will collaborate with gear companies to produce specialized braces that will support taekwondo players’ ankles, and to upgrade gloves for added protection for hands, fingers and thumbs based on the findings of ultrasound scans on injured athletes at Muju 2017 World Taekwondo championships by Jeong. The two areas are particularly vulnerable to preventable injuries in taekwondo. Moving on, Jeong said that in “approximately two years” the WT Medical and Anti-doping Committee, working in collaboration with a team of taekwondo specialists at YISSEM, will publish a manual for team doctors on taekwondo-specific injuries and injury management. “In the future, we need to work on developing a return-to-play protocol for taekwondo,” he added. After the close of the conference, Jeong and the visiting IOC commission members were hosted for dinner by WT President Chungwon Choue – who took the opportunity to brief the visitors on the activities of the Taekwondo Humanitarian Foundation.